This entry was posted on February 19, 2010 at 10.34	and is filed under Aboriginal, Archie Roach, Forgiveness, Friendships, Gratitude, Healing, Injustice, Journeys, Kukatha, Magic, Mimini, Ngarrindjeri, Pitjantatjara, Racism, Ruby Hunter, Stolen Generation, Warrior Women. You can follow any responses to this entry through the RSS 2.0 feed. You can leave a response, or trackback from your own site. Hi, love your blogs, you should pop down to Tandanya on May 7 to see the Aboriginal artist of the year wayne quilliam and his latest exhibition. I went to the exhibition Samantha…love Waynes work, was great to hear Delvene and Che do the Welcome and all in all a wonderful exhibition…. Nice piece on Ruby Hunter. It did what a blog post is supposed to do—stimulate interest. I’d like to know more about Ruby Hunter. I plan to do some research. I am curious about one thing. Did she record any of her songs in her Aboriginal language? Nancy Ruby was one of the Stolen Generation and was removed from her family at a young age. 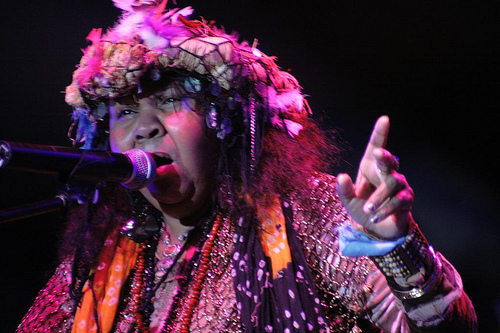 She was a Ngarrindjeri woman and I couldn’t say how much of her traditional language she has access to…i can’t recall any of her songs been sung in Language. Ruby’s husband Archie Roach is much loved and respected also both as a song writer and as a voice for the terrible injustices that continue to happen to Aboriginal people in this country. Our heart goes out to Archie for the loss of his soul mate and best friend….I was very saddened to hear that only a few weeks after Rubys passing her Sister also passed away and they lay side by side back in their home country.